Before you purchase a gemstone in our online store you may want to have it certified. There is no laboratory in Pailin so we will send the gem(s) to Chanthaburi, Thailand, and have it analysed and certified in a GIA graduated Laboratory. The Chanthaburi Gemological Laboratory Co. Ltd. (GLC) is an independent gems laboratory in Chanthaburi, Thailand. Graduated gemologists from Gemological Institute of America (GIA), Asian Institute of Gemological Science (AIGS) and the faculty of gems, Burapha University. This laboratory has now become the best gems certification body in Chanthaburi and has the most modern equipment. Identification Report: The laboratory will certify what kind of stone it is, if it is natural or synthetic, and whether there are foreign elements such as lead glass. 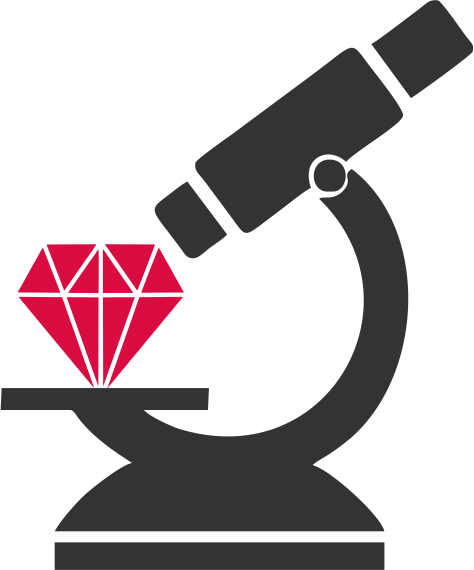 Please contact us and we will identify the gems to analyse and evaluate your request. We can perform the certification before you purchase a gemstone from us and you can change your mind and decide to not purchase the stone, even if you have paid for it, but the certification has to be paid upfront and is not refundable. The whole certification process will require up to 3 open days.